The Aerospace Bristol collection embraces objects and archives relating to the Bristol Aeroplane Company, its predecessor and successor companies (the ‘Bristol family’ of companies) and its workforce. Aerospace Bristol houses the substantial company archive which dates from 1910. The companies represented in the archives include the British and Colonial Aeroplane Company, Bristol Aeroplane Company and British Aircraft Corporation. The archives are open for research purposes, by appointment only. If you are interested in visiting the archive, please contact archives@aerospacebristol.org. Please note that we don’t have staff records, but you are still welcome to contact us as we may be able to look in other sources to see if we have anything for your relative. The engine side of the story of the Bristol family of companies is with The Rolls-Royce Heritage Trust Bristol Branch and is available by appointment. The Sir George White papers are held by Bristol Archives. 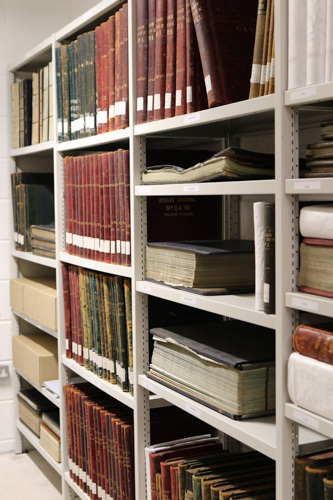 If you have some archive or library material you are kindly thinking of offering to us, please contact us archives@aerospacebristol.org to discuss the material, as are we unable to accept donations of archives or books without prior arrangement.